GBC aba has expertise in ABA therapy across a wide range of skills. We will help you prioritize your goals and concerns and understand the choices available to you regardless of the situation or the setting. The value of our services is evident in the high degree of open communication with all stakeholders in the support process. Our ultimate goal is to equip you with the knowledge to make the best decisions for your family. Individualization - At GBC aba, we don’t believe one size fits all. Each client and family presents a unique opportunity for us to make a difference in their lives. We approach each client as an individual. Family Focus - At GBC aba, we care deeply about our clients and listen to them. 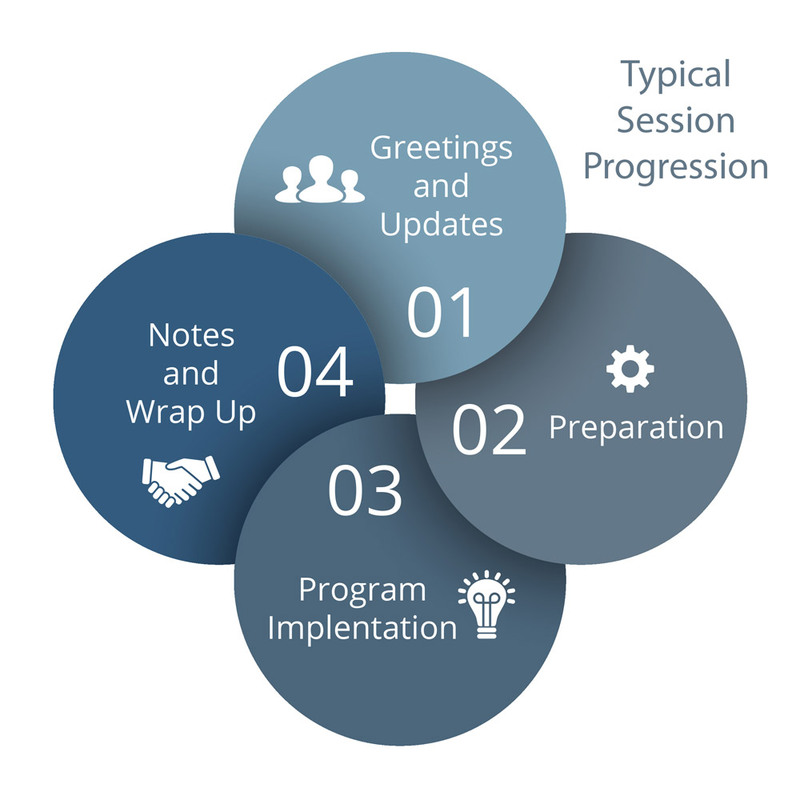 Open communication is a key component of any successful ABA program. GBC aba does its best to match you with staff that are a good fit for your child and your family. 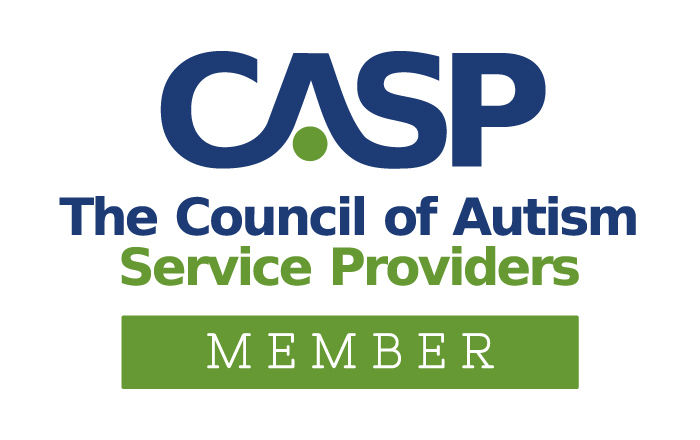 We believe you play a critical role in the success of your child’s ABA program. We communicate what we are doing in therapy and show you ways you can support your family’s goals when we are not there. We encourage generalization by explaining key strategies and routines that can be put in place even without a Board-Certified Behavior Analyst (BCBA) or Behavior Technician (BT) present. Natural Environment - At GBC aba, we strive to provide services in a client’s natural environment. This creates the greatest opportunities for learning and generalization leading to an independent and socially active life for your child. The need for social skills is vital throughout life. Your child needs to be able to form friendships, and appropriately socialize across settings (home, school, church, etc.). Social situations are often awkward for those with Autism. It is our goal to help your child gain social competence, to the best of their ability, so they can succeed in life. To achieve that, GBC aba integrates the development of social skills into nearly every program. Impairment in social functioning is a central feature of Autism Spectrum Disorder (ASD). Typical social skill deficits include: initiating interactions, responding to the initiations of others, maintaining eye contact, sharing enjoyment, reading the nonverbal cues of others, and taking another person's perspective. 1. Greetings and updates - A behavior technician will spend the first few minutes speaking with you about how things have been going since the last ABA session. Perhaps there’s been an increase or decrease in behaviors, or you may have seen your child engage in a life-skill with less support or more independently. Alternately, there may be news that needs to be shared from school, a doctor, or another person on your child’s service-provider team. 2. Preparation - You may wonder why the technician doesn’t jump right into therapy! They are taking the time to gather materials, prepare paperwork, read notes from the last ABA session, or review comments from the supervisors on your child’s team. 3. Program Implementation - A GBC aba professional implements programs developed specifically for your child by a Board-Certified Behavior Analyst (BCBA). The interventions must be based on assessments that explain why the child with Autism uses certain problem behaviors (e.g., to obtain a tangible item or activity, to gain attention, to avoid or escape a situation, or because the behavior itself is reinforcing). The programs developed for your child should teach and reinforce appropriate social and communicative behaviors. Intervention strategies should be consistent, reviewed frequently, and based on reliable and accurate data. Our intake process happens in your home and in the community. This process may take several weeks to complete. 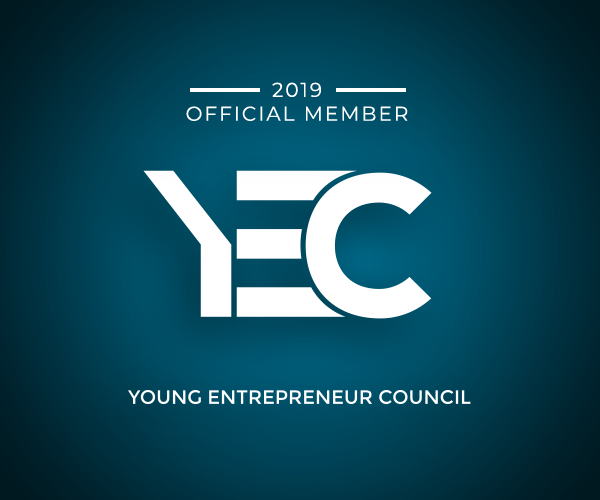 The process consists of many different methods to determine why certain behaviors are occurring, what skills the client is already capable of, and what areas we can focus on when teaching new skills. Here is an explanation of the steps. 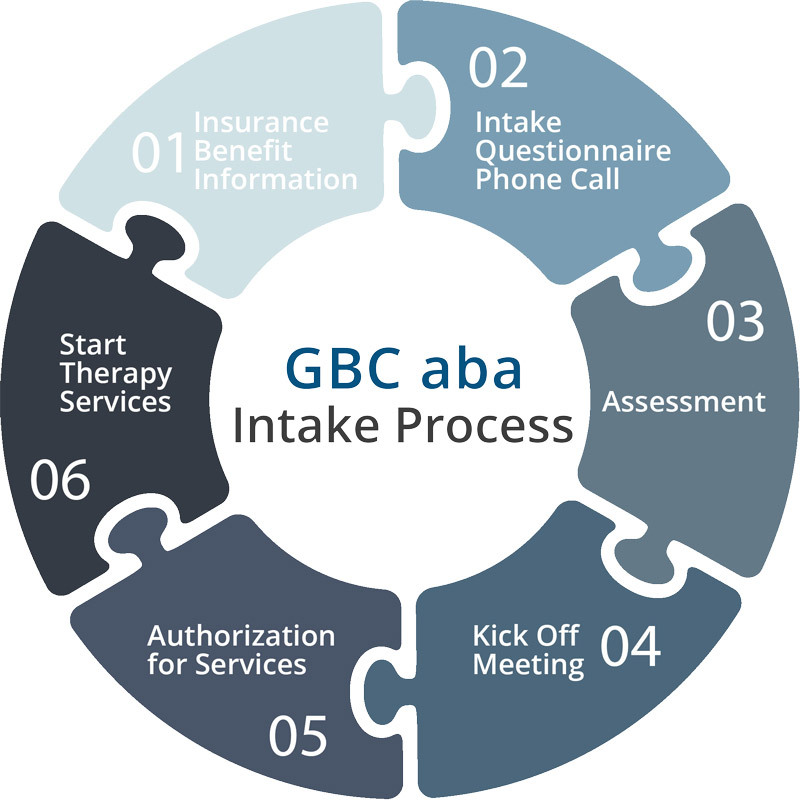 Insurance Benefits Coordination: A GBC aba Insurance Benefits Specialist will identify your insurance plan’s coverage for therapy services and notify you if there are any pre-authorization requirements. Intake Questionnaire Phone Call: In preparation for the In-Home assessment, a GBC aba BCBA will schedule a phone call with the parent(s)/caregiver to review basic health history information. Kickoff Meeting: The assessment team will schedule a meeting with your family to discuss the results of the FBA and Skills-based assessments. This meeting should take place 1-3 weeks after the last observation. This gives the BCBA time to analyze the results and formulate a treatment plan or behavior support plan, if needed. Authorization for Services: After the kickoff meeting, the BCBA will finalize your child’s initial treatment plan. The initial treatment plan is a report that lists your child’s problem behaviors and areas for improvement. It also lists goals that the assessment team has determined would be appropriate to work on and their clinical recommendations for hours and treatment. This is the plan that is submitted to insurance for approval and/or authorization of services. You will receive a copy of this report once it is finalized. Therapy Sessions: Consistency is important in order to accurately measure progress and outcomes. Programs are run and data are collected during therapy sessions. All data are monitored by the BCBA and the Clinical Supervisor and modifications to the Treatment/Behavior plan will be made based on both data outcomes and child and family goals.